Giuseppe and Penny Pecorelli, together with their family, own the Exclusive Hotel group based at Pennyhill Park hotel and Spa in Bagshot. Guiuseppe, originally from Arezzo in Italy, was Managing Director and Main Board Director of Trust House Forte Hotels; afterwards Managing Director of Ciga hotels owned by the Aga Khan, before starting Exclusive Hotels.They have four children, four delightful inlaws and seven grandchildren. Penny comments, "We first met Gordon and Ann when they were Mayor and Mayoress of Surrey Heath. We are very lucky people and were happy to help give something back to society. We were so impressed by Gordon and Ann`s dedication and energy that we agreed to become patrons. The decision – and our commitment has been strengthened by the sad fact of our youngest grandson being diagnosed as autistic. 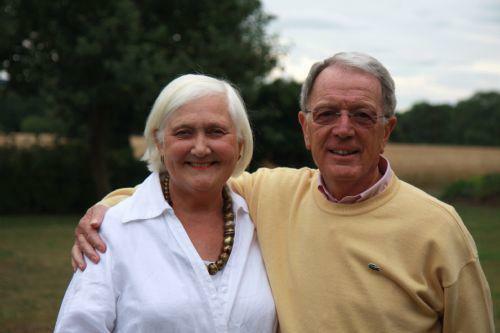 We are delighted that the charity goes from strength to strength due to Ann and Gordon`s hard work together with that of their wonderful committee".